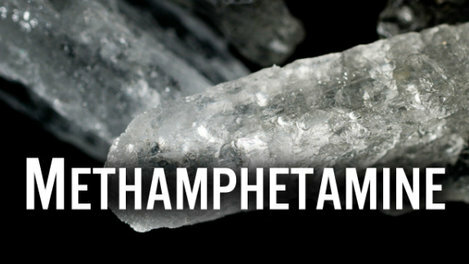 Meth (methamphetamine) is an illegal highly addictive man-made drug. Meth comes in different forms: “ice” refers to its chunk form. Meth refers to any form of the drug. Meth is most commonly smoked but can be injected or snorted. All these methods can lead to addiction and other severe health problems. Hawaii ranks #2 in the nation for percentage of meth related drug treatment admissions. In 2013, 4.3% of Hawai'i high school students have tried Meth at least once in their lifetime. In 2011, Quest Diagnostics, a major drug-testing company, identified Hawai'i #1 in the nation for workplace meth use. Possession or distribution of a dangerous drug in any amount to a minor is a first degree offense and falls under a class A felony. Sources: The Honolulu Police Department Narcotics/Vice Division; State of Hawaii DOH ADAD Client Data System Admissions FY0609; 2009 ADAD/SAMHSA National Outcomes Measures; The Honolulu Star Advertiser 2011; Elaine Wilson, Former Chief of the Hawaii Alcohol and Drug Abuse Division; National Drug Control Policy Survey 2009; Hawaii HIDTA Drug Market Analysis 2011; Department of Justice ADAM program 2002 study; YRBSS 2011; 2011 Hawaii Meth Use & Attitudes Survey.